The first Ukrainian settlement in Manitoba was established in 1896, in the Trembowla area along the Drifting River, in the Rural Municipality of Dauphin. The following spring, Reverend Nestor Dmytriw arrived from Pennsylvania to celebrate the first Ukrainian Catholic Liturgy on Canadian soil for the pioneers. To commemorate the occasion, the settlers erected a large Cross of Freedom representing freedom in a new land. Later that year, on 12 September 1897, the settlers of Volkiwtsi, known as Mink River, were also visited by Reverend Dmytriw, who consecrated their cemetery and advised them to build a church. 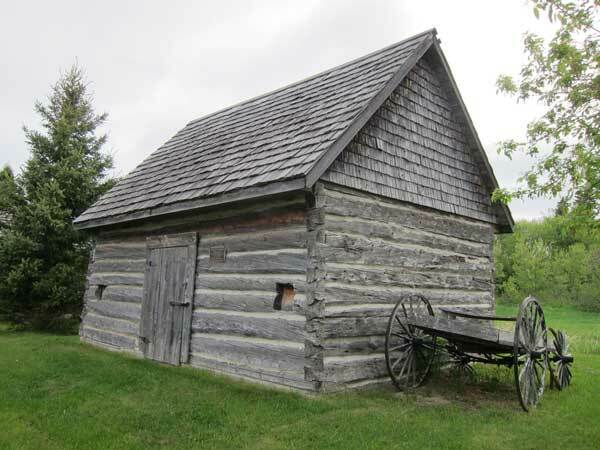 The following year, the settlers erected a small chapel of logs and later built an addition to the permanent Church. It was consecrated in 1902 as St. Michael’s Ukrainian Catholic Church and served the Parish of Mink River until 1960. 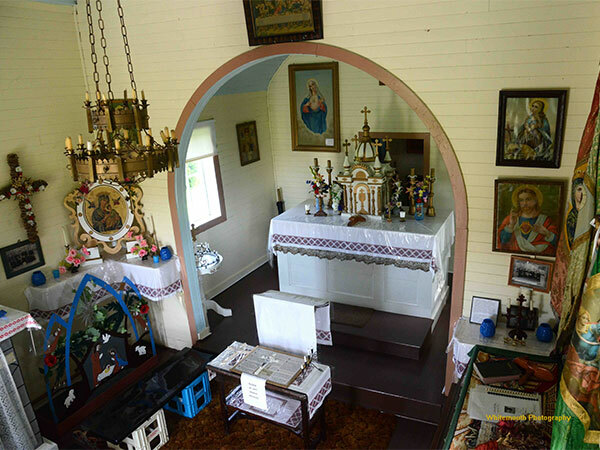 The church was relocated to the Cross of Freedom Historic Site in 1967 where it is preserved to this day as the first and oldest Ukrainian Catholic Church in Canada. Commemorative markers were erected at the site by the Historic Sites Advisory Board of Manitoba. Nearby is the Trembowla Cross of Freedom Museum, comprising several buildings including St. Michael’s Ukrainian Catholic Church. 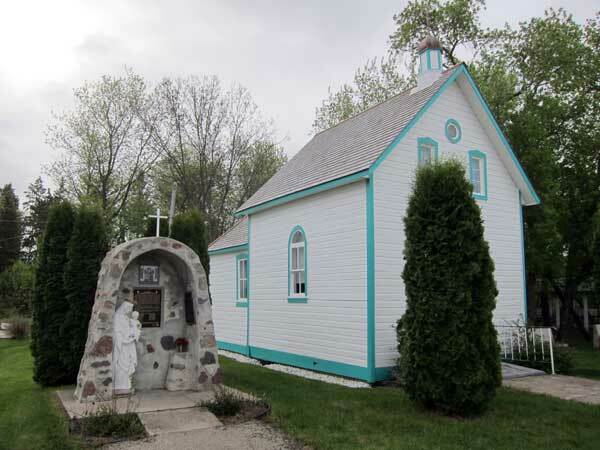 Constructed of logs in 1898, it is the oldest surviving Ukrainian Catholic Church in Canada. Originally situated at SE14-28-21W in the Drifting River area, it was moved to this site in 1967. 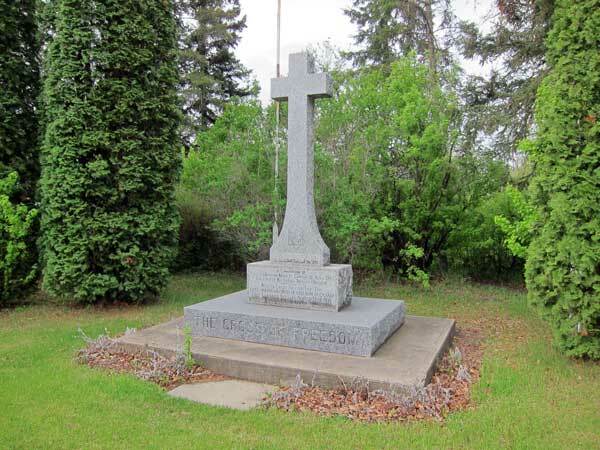 A commemorative marker was placed beside it in 2000 by the Manitoba Heritage Council, and a nearby fieldstone monument erected in 1981 recognizes Ukrainian settlers who arrived in this area in 1896: P. Bashchak, M. Gadzosa, P. Huska, I. Lozynsky, I. Nizalowsky, P. Perchaluk, I. Sytnyk, P. Cherwinsky, I. Geryluk, W. Ksionzyk, I. Nimetz, J. Pawlicky, H. Staranchuk, and M. Yasinchuk. 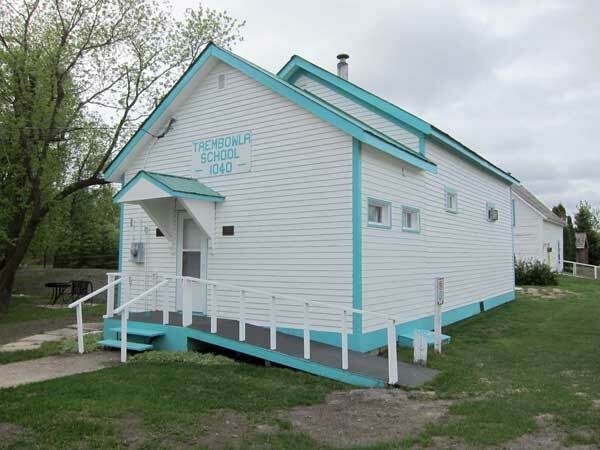 Other buildings on the site include a reconstruction of a Ukrainian pioneer home (donated by Mrs. Mary Demchuk), Riverbend School No. 1176 (which served as Trembowla School No. 1040 from 1960 to 1965), and several log buildings including a granary / workshop and the Wasyl Ksionzyk home (moved here from its original site in 1987 and donated by the Slobodzian family). St. Michael’s Ukrainian Catholic Church, NW 20-26-20W, Manitoba Historic Resources Branch.